More about iittala Toikka 2015 Lakla Annual Egg As stunning as its avian counterpart, the iittala Toikka Lakla 2015 Annual Egg boasts the same marbled motif as the annual bird but on a smooth oval of opal glass. Inspired by a 19th century Finnish folk collection of poetry called the Kanteletar, Lakla (Bean Goose) is an imaginative character who acts as a lawyer for a willow warbler accused of stealing grain from a field. Lakla's emerald color is an ode to the forests, which hold mysticism and meaning not only in Finnish literature but living, too. 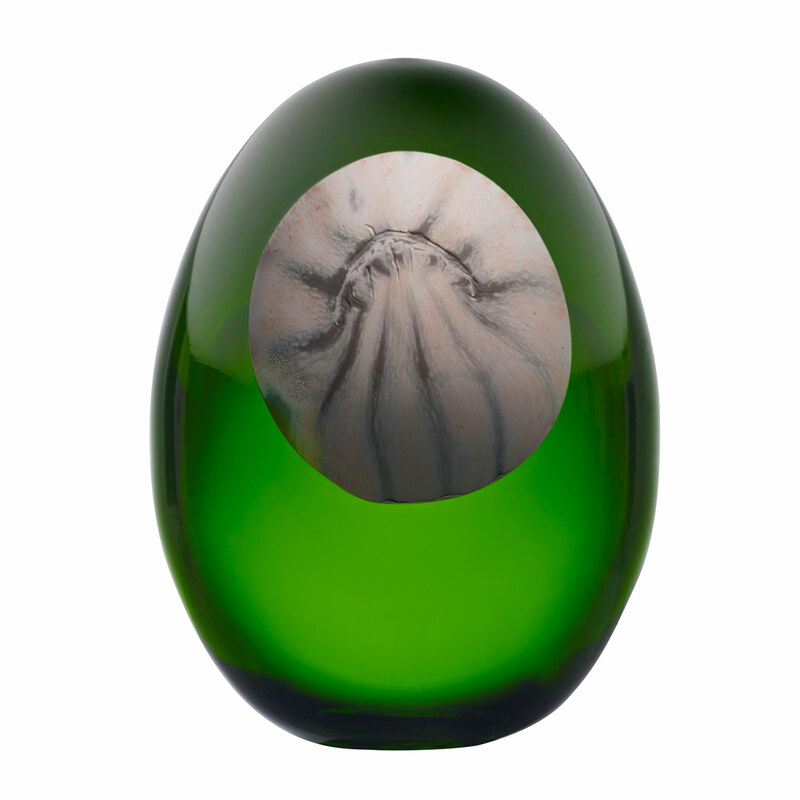 Only 750 of these limited edition pieces have been handcrafted, making your numbered Lakla 2015 Annual Egg a rare, one-of-a-kind collectible.